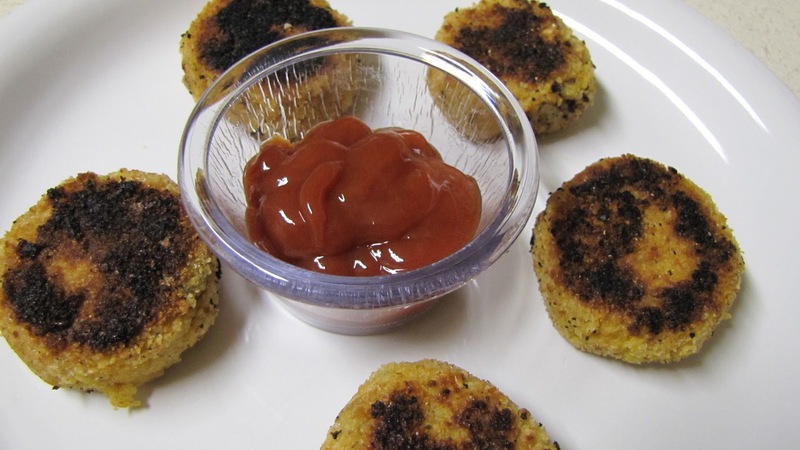 Chicken cutlet is such an easy appetizer u can make in no time ..ofcourse if u've chicken. Here I've posted my take on it. Seriously I don make this often since am not a chicken lover. This time I reserved some of the chicken pieces when I made chicken kulambu and made this immediately the next day, and my H loved it.. Hope u like it as well..
Boiled Potatoes -- 2 nos. Egg -- 1 to 2 nos. Boil the chicken pieces with turmeric powder and little bit of salt and shred them finely. Meantime, take a pan and add the oil . Fry the onions,green chilly,GG paste and the garam masala powder for 2 minutes in medium flame and transfer to a bowl. Add the boiled potatoes ,shredded chicken pieces ,salt,red chilli powder,coriander leaves to the mixture as well. Now knead this mixture until everything comes together. Don't mix it for too long. Just enough to make a firm patties. Now ,take a lemon sized mixture and make a pattie ,it may be round or oblong in shape.keep this mixture for few minutes,may be 30 minutes. Don worry, if u r in short of time,this is absolutely optional.Now break the egg and beat it. Place the bread crums in a bowl. Keep everything ready. Now dip the patties in egg and coat everywhere. Then roll the patties in the bread crumbs and shallow fry it. I like them to be super crispy so I fried them too long.. U may fry the patties for a minute or so for a nice golden brown texture on both sides.. Njoy with ketchup or Mayo..
U can also mince the chicken finely and add it to the masala without cooking ..
perfect n yummy cutlets..lov d shape..perfect!....nice one!